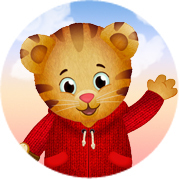 2016 is already proving to be a tiger-tastic year for Daniel Tiger’s Neighborhood! In January, the Rite Aid Foundation announced that its KidCents program donated $2 million to the Fred Rogers Company to support production efforts of Daniel Tiger’s Neighborhood. New Daniel Tiger’s Neighborhood episodes all week on WSKG TV! Tune in on Wednesday, February 17, 2016 to help your child to show he cares and to think about what other people might need, too. Taking care of you makes me happy, too. Whatever you do, think about what other people need, too. On Thursday, February 18, 2016, Daniel shows your child the importance of sharing how you feel with others and identifies his many feelings as the day unfolds. It’s amazing how many different things you can feel in one day! It helps to say what you’re feeling. On Friday, February 19, 2016, Daniel and Teacher Harriet show your child that everyone makes mistakes; the important thing is that we can fix them and always learn from them. It’s okay to make mistakes, try to fix them and learn from them, too. Wow! That’s a lot of important emotional learning for one week!